"You pierce my soul. 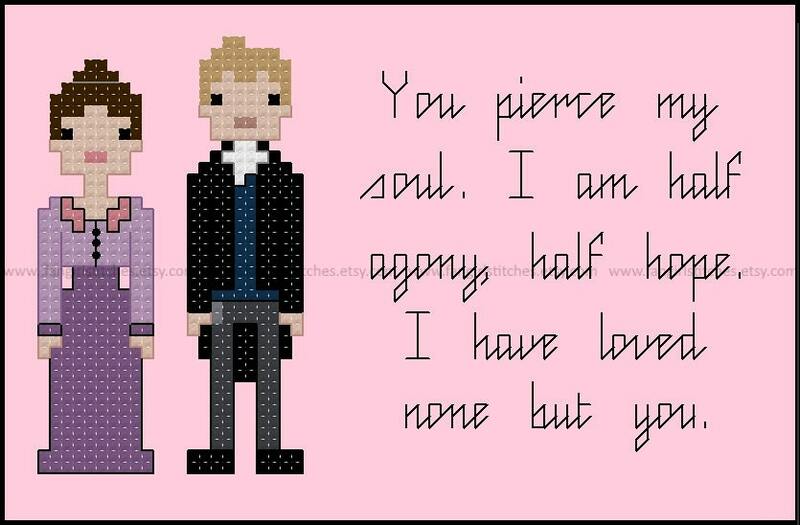 I am half agony, half hope. I have loved none but you." 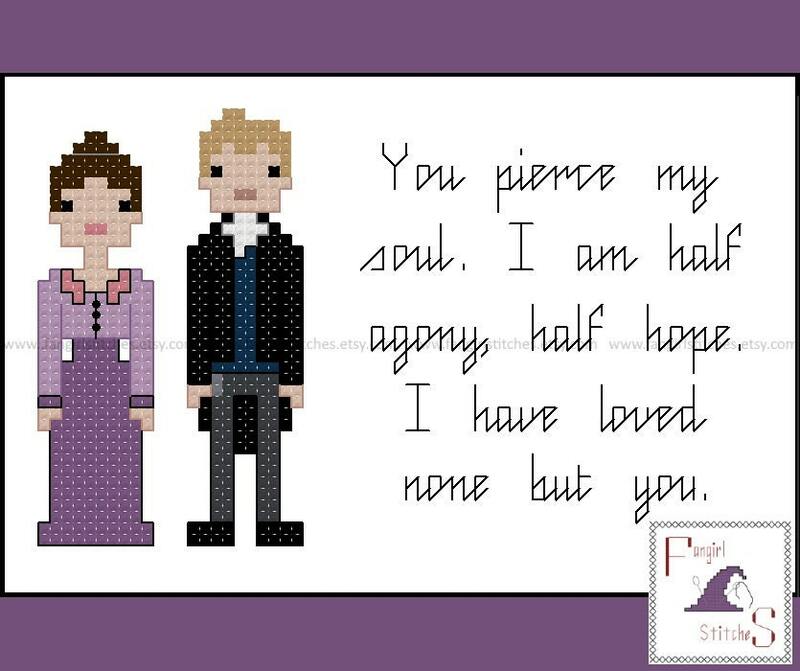 This cross stitch pattern features the main characters from Jane Austen's Persuasion, Miss Anne Elliot and Captain Frederick Wentworth, as well as the Captain's proposal.